This holiday season, Philadelphia will play host to Potted Potter – The Unauthorized Harry Experience, at the Prince Music Theater! 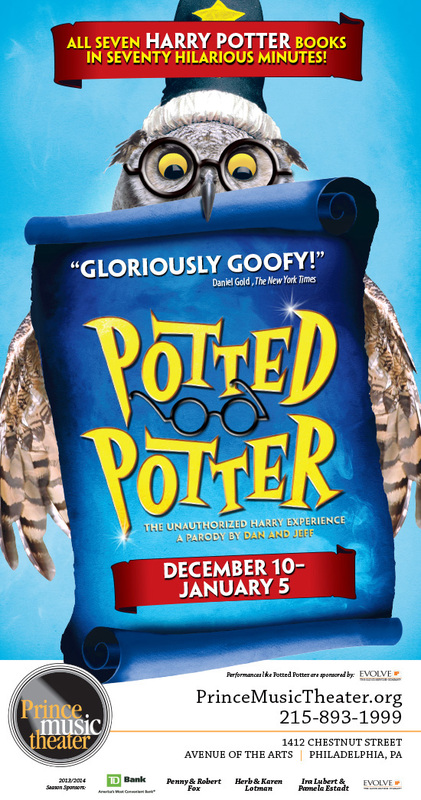 Playing to sold out crowds all over the world, Potted Potter takes on the ultimate challenge of condensing all seven Harry Potter books (and a real life game of Quidditch) into 70 minutes with only two actors! We are excited to give away a pair of tickets to see this show one night during its limited run at the Prince. To enter, please e-mail us at contests@cinedelphia.com and tell us why you are the biggest Harry Potter fan! Only one entry per household please!